The perfect choice for family, overnight and long stay guests looking for great Swan Hill Accommodation on a budget. • Spacious one and two bedroom self-contained holiday units. • Relax by the large salt-water swimming pool or enjoy a barbecue at our central gazebo barbecue area. 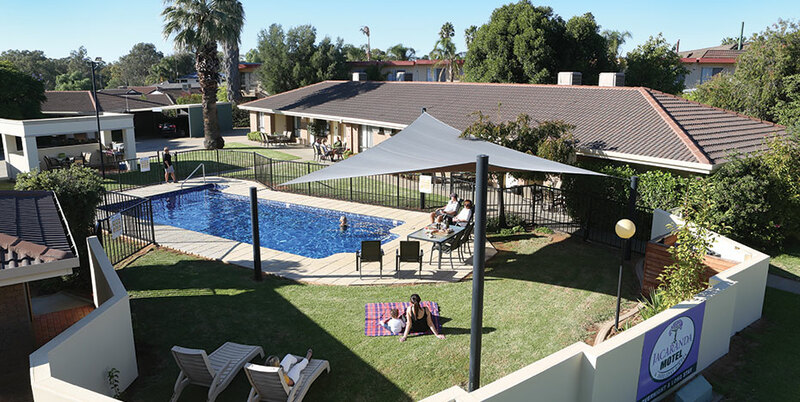 With off-street parking and amenities that include a laundry room complete with washing machines and clothes dryer you will feel right at home at the Jacaranda Motel & Holiday Units. 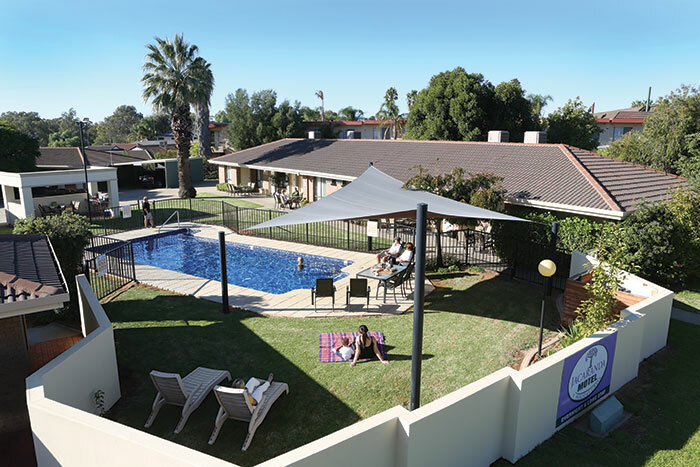 • Conveniently located in the heart of Swan Hill on the Murray River in Victoria, Jacaranda Motel & Holiday Units is only three and a half hours north of Melbourne!